Jackie Stiles is in her first season as an assistant at Loyola Marymount in L.A.
Graham Hays, espnW Jackie Stiles scored 3,393 career points and won the Wade Trophy as a senior. LOS ANGELES — Even here, on a campus that overlooks the Pacific Ocean, Jackie Stiles remains inseparable from the Midwestern roots out of which grew basketball mythology. As removed in years and miles as she is from the girl who made a thousand shots a day, more than one for every resident of her Kansas hometown, she retains more than traces of the impossibly earnest. She is still the guileless character who turned down Connecticut and Tennessee to lead the school then known as Southwest Missouri State to the Final Four and become the all-time leading scorer in NCAA history. 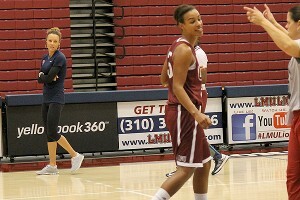 Consider the analogy she called on to explain what was going on with the business she owns when first-year Loyola Marymount coach Charity Elliott reached out to see if Stiles might be interested in joining her staff. “It’s like my harvest because I’m running [basketball] camps all over the place,” Stiles explained of summer months. Just down the street from the gym in which she sat, flights landed at Los Angles International Airport and drivers sat in familiar morning gridlock on Interstate 405. The only harvests in the vicinity likely involved sound stages. Courtesy of Graham Hays After just two seasons in the WNBA, Jackie Stiles suffered what amounted to career-ending injuries, which later led to 13 surgeries. Once the girl from Claflin, always the girl from Claflin. And once infatuated by basketball, always infatuated by basketball. 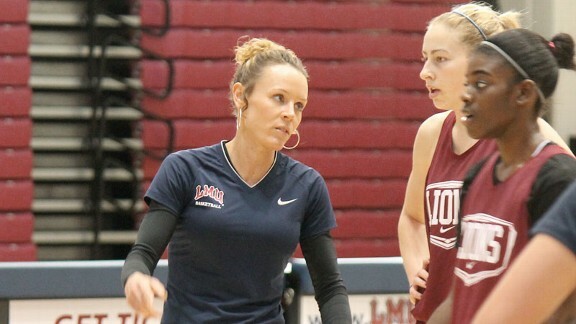 A decade after she played her last competitive game in the WNBA, Stiles is in her first season as an assistant coach at Loyola Marymount, her first coaching job. The star of the second Missouri State team to reach the Final Four (the school dropped “Southwest” from its name in 2005), Stiles now works for Elliott, a standout on the first Missouri State team to reach the national semifinals in 1992. Elliott first met Stiles, and first saw the traits that would translate into 3,393 points in four college seasons and the Wade Trophy as a senior, when the younger player was a middle schooler attending Missouri State basketball camps. Even as a seventh and eighth grader, Stiles won the camp’s one-on-one contests against all comers. Whatever the setting, she played one-on-one for hours on end growing up, taking on older girls, older boys, anyone who would stay on the court. When there was nobody around to play she would go through the practice routines that fueled her legend, shot after shot, hour after hour with a basketball in her hands and her body in motion. Stiles pushed herself in a way few players do and in a way her body ultimately couldn’t tolerate. As a rookie with the Portland Fire, she edged No. 1 pick Lauren Jackson as the rookie of the year. Injuries limited her to just 21 games in her second season. She never played another game in the league. There were sporadic false starts for a few years thereafter that kept alive thoughts of a full-fledged comeback, but her body always intervened. “I am so glad that I did not get into college coaching right out of when I was done playing because I think I would have resented it. She started her own business, running basketball camps, offering one-on-one instruction and giving motivational speeches. She bought a home in Springfield, Mo. She tried, too, to feed her competitive cravings with activities potentially less taxing on her body than basketball, but she struggled to do anything as pastime rather than passion. On what should have been a leisurely hike up Pikes Peak with her brother, she couldn’t stand it when a stranger passed them. She ran the rest of the way, left so dehydrated that she was barely able to make it through one of her camps the next day. She tried competitive cycling, unable to simply ride for exercise. She took up long-distance running; she ended up trying unsuccessfully to qualify for the Olympic marathon trials last year. You don’t average 26.3 points per game in college without being wired differently, without an obsession. But every time Stiles tried to find a new outlet, she took it to such extremes that her body again balked. As someone put it to her, she had the engine of a Dodge Viper, and the body of a Volkswagen bus. Graham Hays, espnW After taking up long-distance running, the ever-competitive Jackie Stiles tried unsuccessfully to qualify for the Olympic marathon trials last year. After the foray into distance running, she realized she had to stop, that she had to let a casual workout suffice instead of turning it into an Olympic quest. It was around that time that Elliott, who was on the Missouri State staff that recruited Stiles but left soon thereafter on a coaching trek that took her to Portland State and UC San Diego, among others, before Loyola Marymount. She didn’t really expect Stiles to take her up on the offer. For one thing, it not only meant relocating to Los Angeles but also taking a significant financial hit to work for the modest wages allotted to college assistants. But Stiles visited the campus and made a snap decision. She rented her house in Springfield, found a condo five minutes from the school to keep her out of the infamous L.A. traffic, packed a U-Haul and headed west to try to excel at something new. The physical toll basketball took is such that Stiles no longer plays at all; even one-on-one games on successive days leave her in pain. She doesn’t run games with the current players and jumps into practice drills only on rare occasions. But considering she was in the same draft class as recent WNBA championship winners Tamika Catchings and Katie Douglas, Stiles is still young enough that her presence alone carries import. A basketball generation removed from Stiles, Alex Cowling is the senior star for the Lions, the West Coast Conference newcomer of the year in 2008-09 and an all-conference pick each season thereafter. She remembered watching Stiles during that run to the Final Four, albeit the details a little hazy for someone who was barely 11 years old. What she has seen since in old highlights only reinforces her new coach’s credibility. Stiles works with Cowling and the other guards, teaches them what she calls the “money moves” from her playing days. It’s different working on someone else’s schedule, and the bus rides and plane flights are tough on her body, but it’s rewarding. 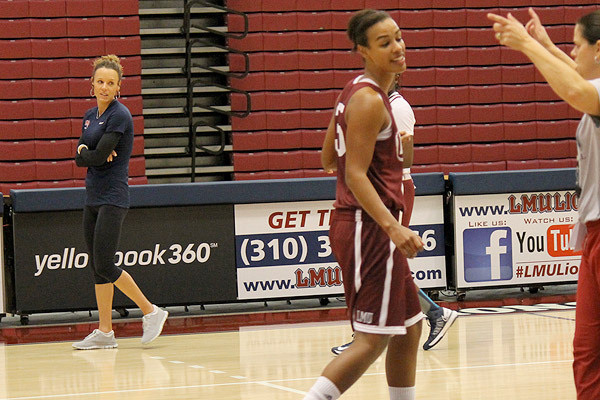 Stiles knew she would enjoy recruiting, the challenge of convincing players to be a part of building something at Loyola Marymount rather than signing on with a more established program. She worried about scouting but found she enjoyed that, too, trying to find weaknesses to exploit. In everything there is a chance to compete. The other part of not taking the court in practice, she admits, is she would be afraid she might throw a tantrum if she lost. “She just brings that level of commitment of what it takes to be great … Showing our kids what it takes to compete at that level and the commitment it takes has been a great thing for her to instill. And recruiting wise, Jackie calls somebody, people know who she is. It’s too soon to know whether this is where the journey ends for Stiles, if coaching can continue to feed her need for competition. The track record across sports isn’t great when it comes to all-time greats having the patience to deal with players who not only can’t do the same things the legends could but don’t always feel driven to live and die in trying. But Stiles seems content for the moment, pleased to see a small group of players grow over time rather than hordes come and go in camps and lessons. If there is one reason to think she might last, perhaps it’s because she started only when she was ready. Her body forced her to leave; she chose to return. Nothing ever meant more to her than basketball. No purpose ever drove her quite like a scoreboard. 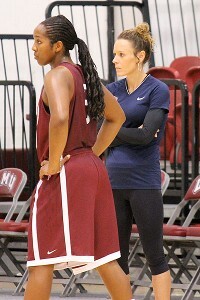 Announced April 18, 2013 - Jackie has been named Assistant Coach for Missouri State University. 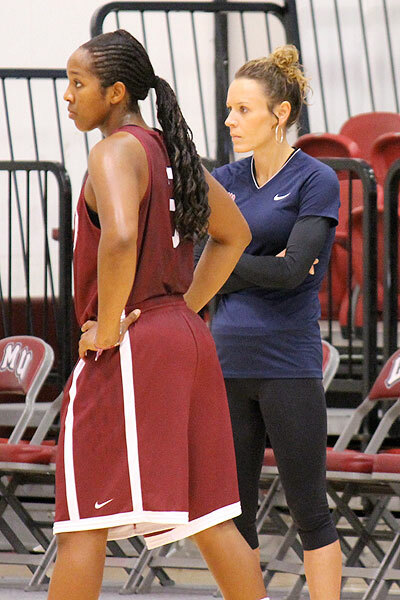 See Jackie Rounds out Lady Bear Staff.